Completed in 1136, this classic chronicle traces the story of the realm from its supposed foundation by Brutus to the coming of the Saxons some two thousand years later. Vividly portraying legendary and semi-legendary figures such as Lear, Cymbeline, Merlin the magician, and the most famous of all British heroes, King Arthur, it is as much myth as it is history, and its veracity was questioned by other medieval writers. 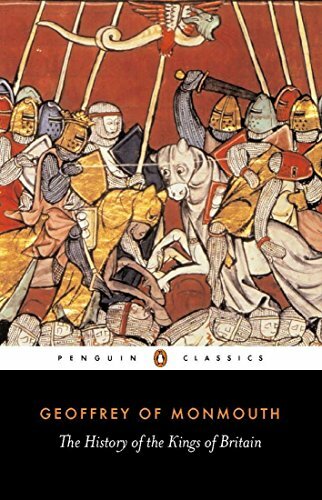 But Geoffrey of Monmouth’s powerful evocation of illustrious men and deeds captured the imagination of subsequent generations, and his influence can be traced through the works of Malory, Shakespeare, Dryden, and Tennyson. Lewis Thorpe’s translation from the Latin brings us an accurate and enthralling version of Geoffrey’s remarkable narrative. His introduction discusses in depth the aims of the author and his possible sources, and describes the impact of this work on British literature.